Beautiful white blooms, in an elegant silver container, stand as a loving tribute for someone who has graced your life with love. 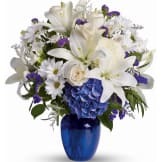 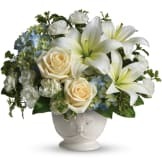 • This beautiful white arrangement includes hydrangea, roses, spray roses, asiatic lilies, stock, queen anne's lace, pitta negra, and variegated ti leaves. 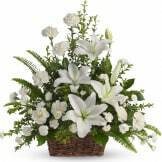 • The Gift of Grace Bouquet can be delivered to the funeral service or family residence. 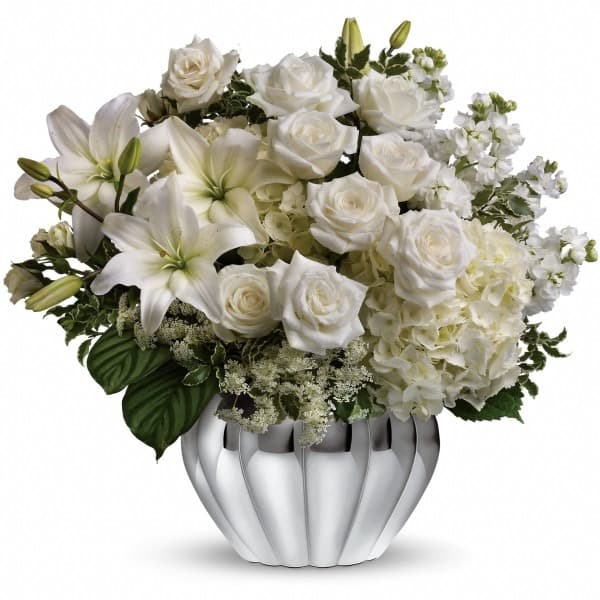 • Measure approximately 17" W X 15" H.